The Cathedral of Notre-Dame, one of the world's beloved churches, was devastated by fire in Paris on Monday. 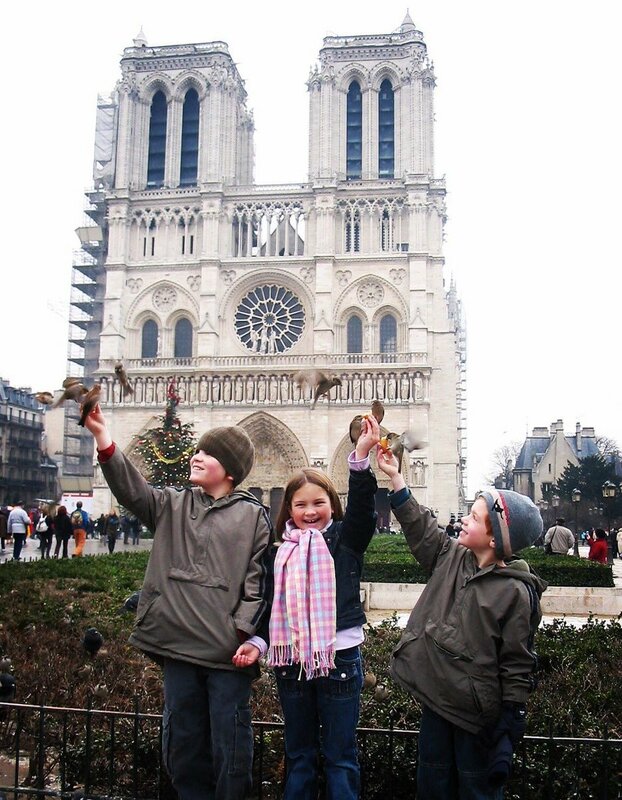 We asked you to share your most powerful recollections and impressions of this majestic landmark. 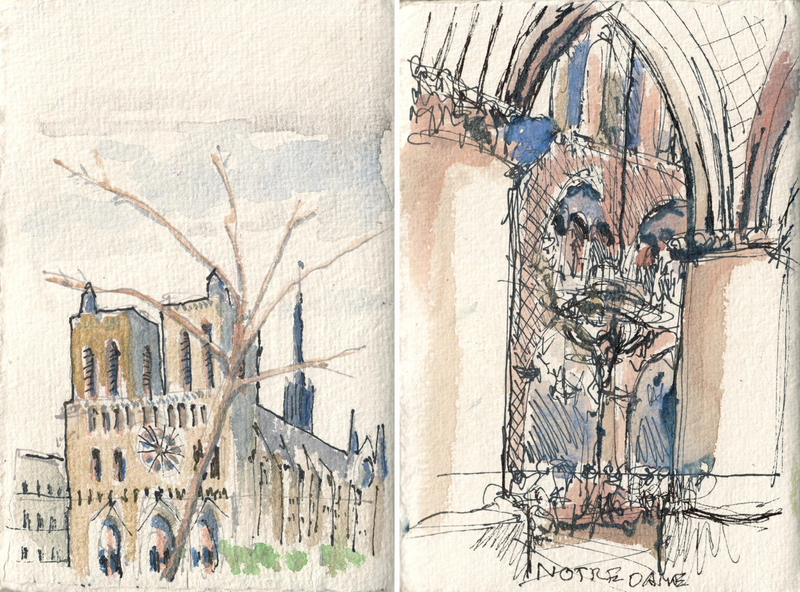 Watercolors sketches from a month ago visiting #NotreDame on a cold day. It was like stepping into a great forest -- of soaring columns and arches -- a vast shadowy magnificence embracing all of us, the silent ones moving humbly, reverently within. Too beautiful to have been made by human beings. And yet it was made by them -- for all time. 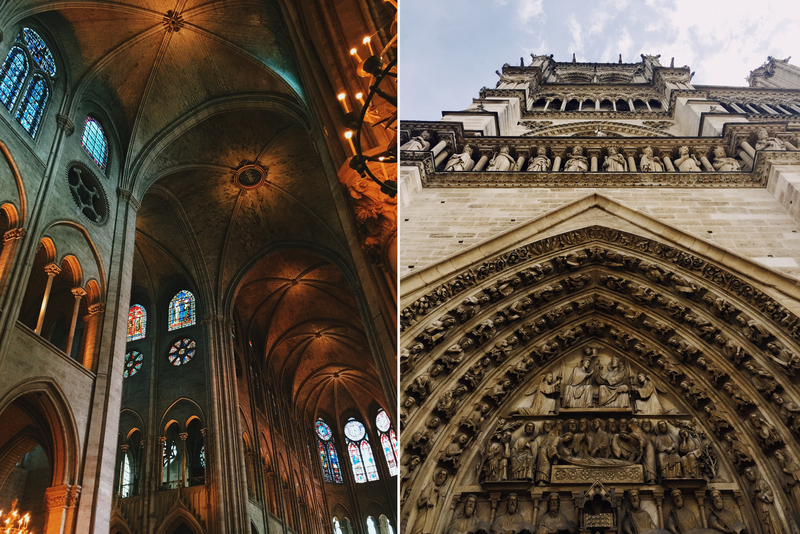 I worked in Paris for six months after college and visited Notre Dame at least once a week. It was a place of refuge and beauty for me, one that I will never forget. 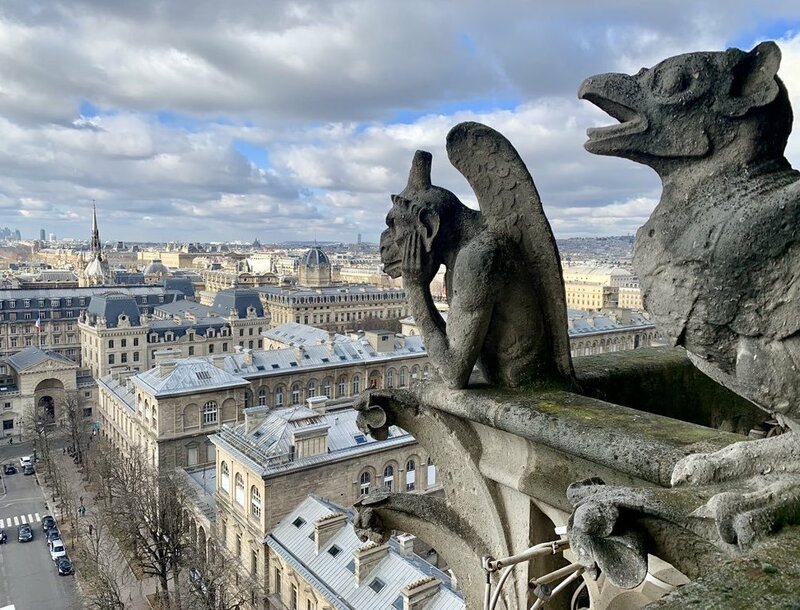 I was there only two months ago at Sunday Mass and later went up to the bell tower where I saw the gargoyles that sat guarding the cathedral as well as the spire that collapsed today. 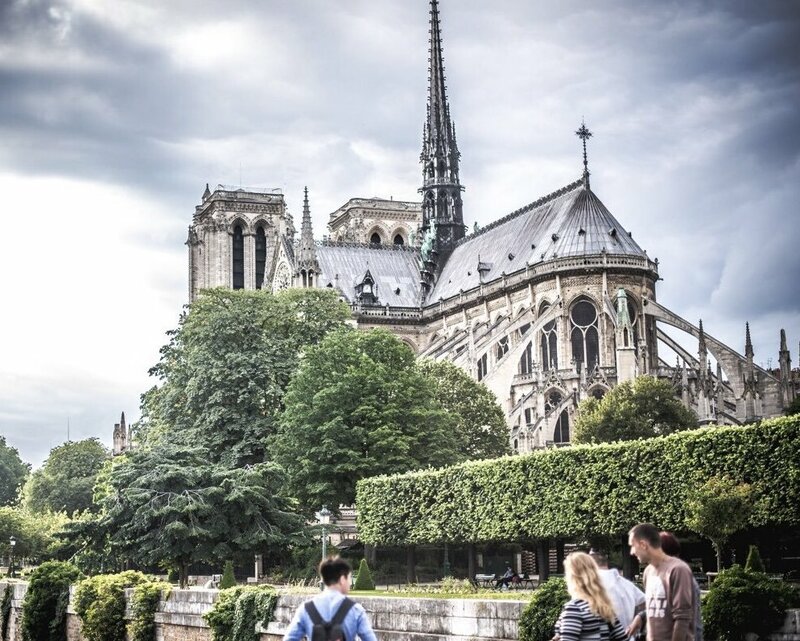 Part of my heart will forever be with #NotreDame. My dad and I saw Notre Dame for the first time last year. Just being able to go on vacation with my parents while they're still healthy and able to travel is a memory I'll forever cherish. The bells. I listened to them so many times, imagining how they must have sounded when Paris was liberated in August of 1944 when I was writing The Race for Paris. Once inside, her majesty took my breath away, and a deep peace came over me. 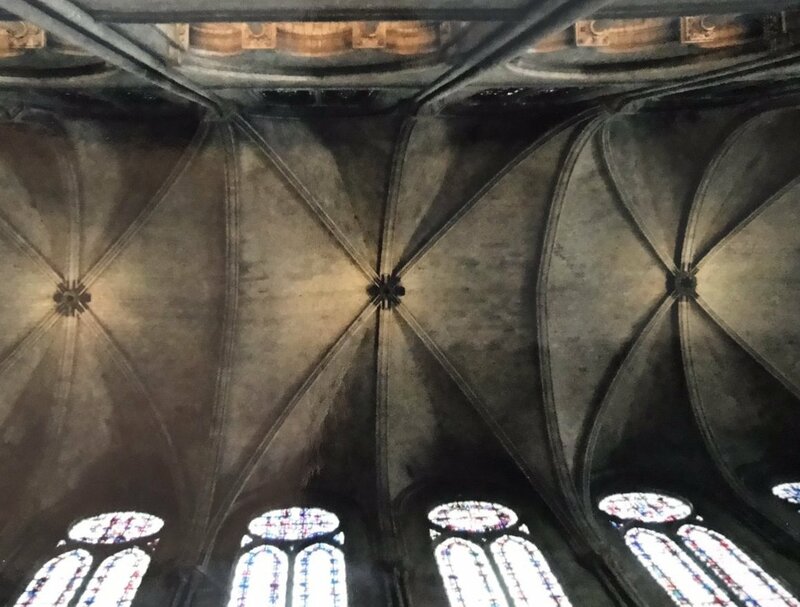 I was in awe at everything I looked at, but the roof – that stunning, unimaginably high roof – built by hand, to be as close to the heavens as humanly possible. I'm so sad. It was taken at Christmas time in 2004. We had spent the fall semester in Cambridge, England while my husband was on sabbatical. He's a professor at Calvin College. 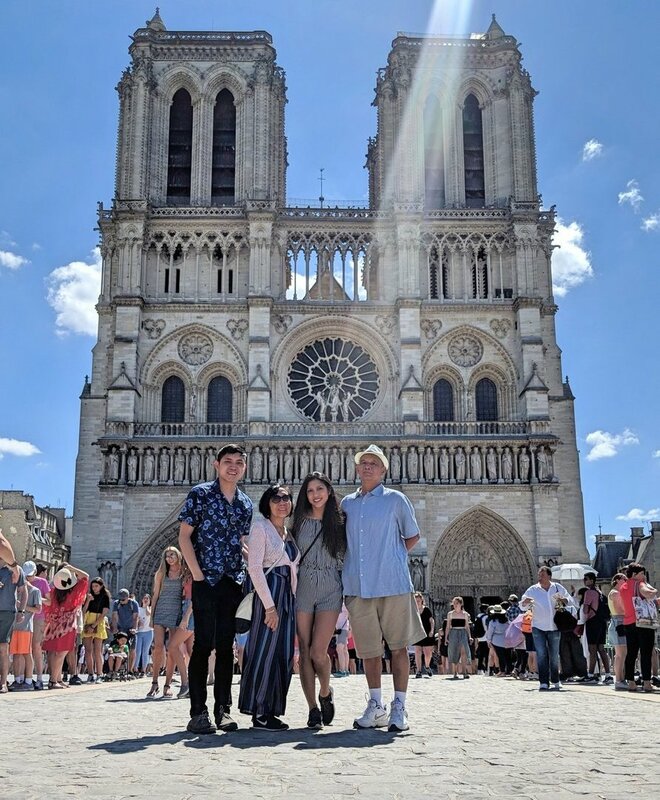 We found some last minute deals for the ferry from Dover to Calais and decided to spend a few days in Paris before our return to Grand Rapids, Mich. 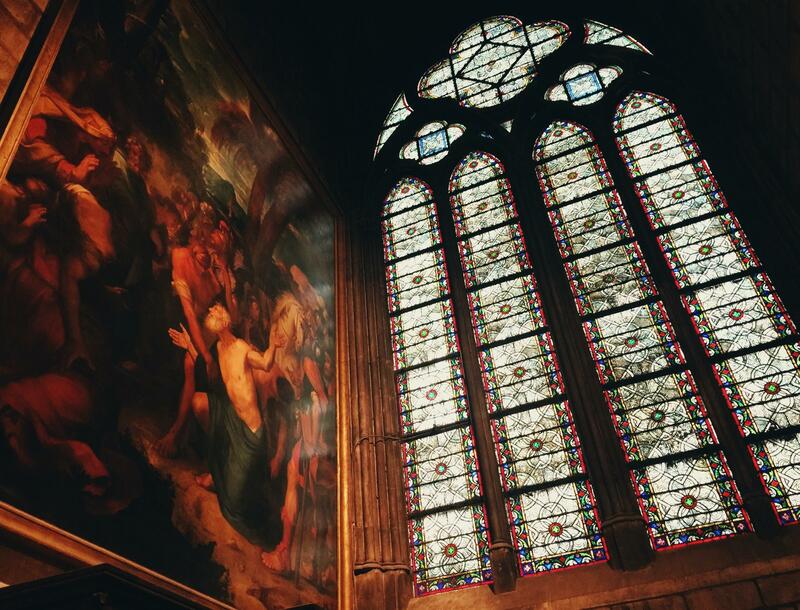 I was so moved by the beauty of the cathedral in 2016, that I composed this piece about the gorgeous stained glass windows of Notre Dame.